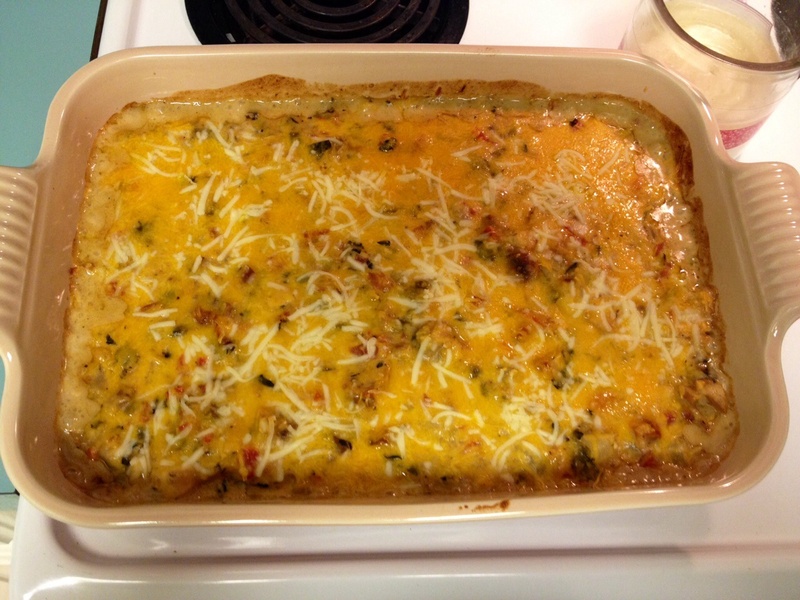 Y’all know by now I love to use leftovers and turn them into another yummy meal. This saves time and money, which adds money to your wine budget. Genius, I know 🙂 This is a simple make ahead meal that freezes great too! 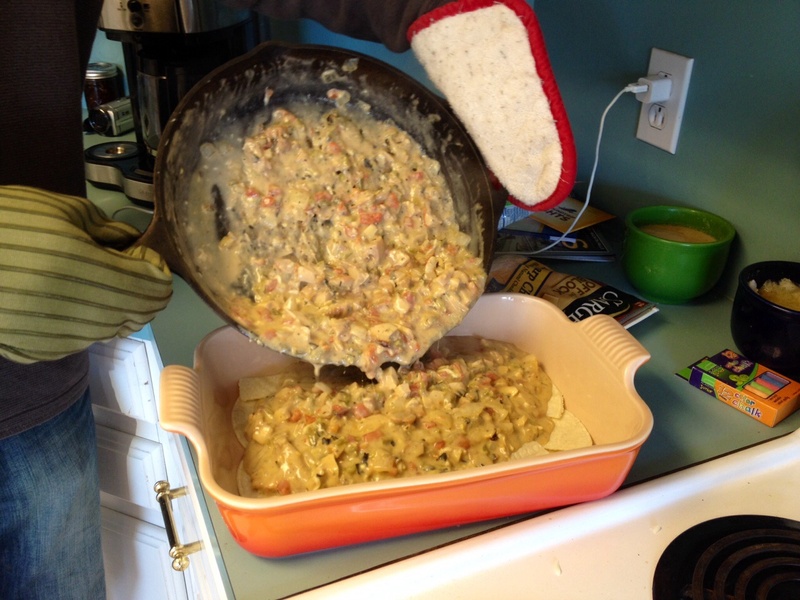 For this I used leftover grilled chicken, but you could use a store bought rotisserie chicken if you wanted to. 1. 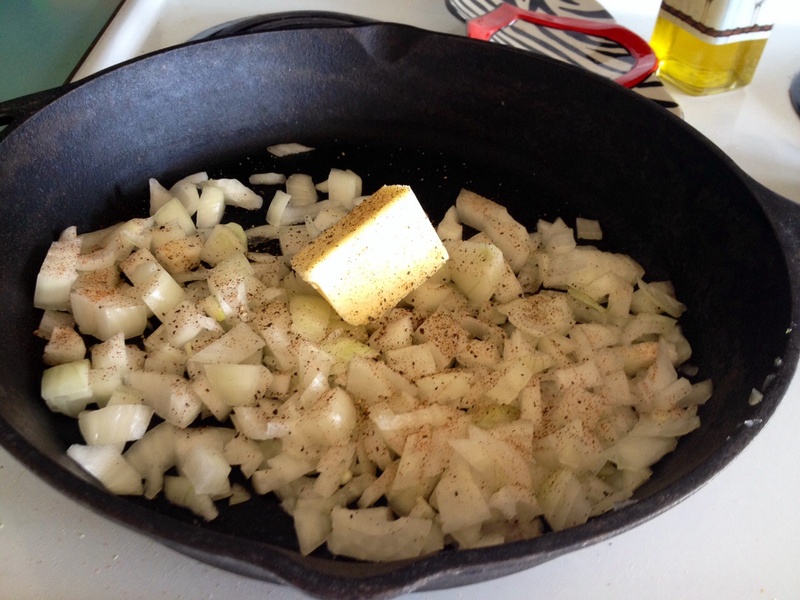 Sauté onion with butter, olive oil drizzle, salt, pepper, and cayenne pepper pinch on medium to high heat. After about 15 minutes add your chopped garlic and sauté another five minutes. 2. 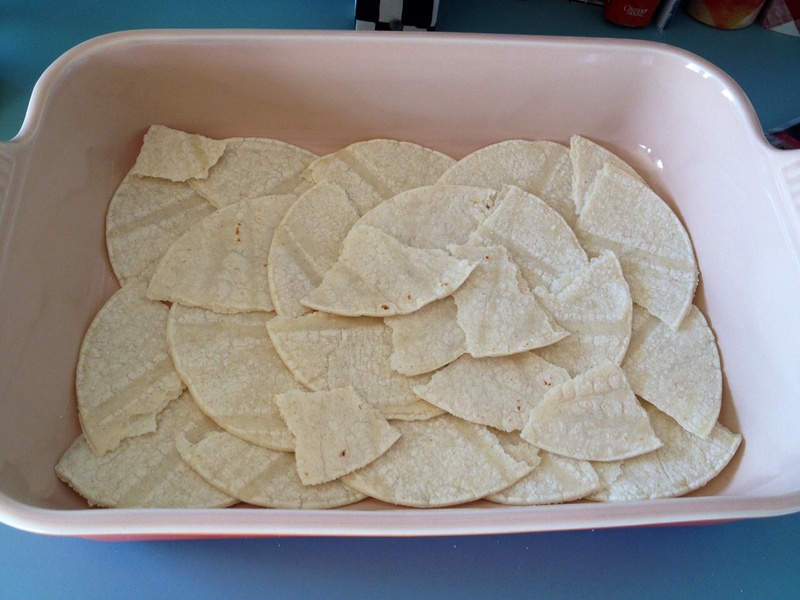 Meanwhile, tear up your corn tortillas and line the bottom of a baking dish with them. 3. 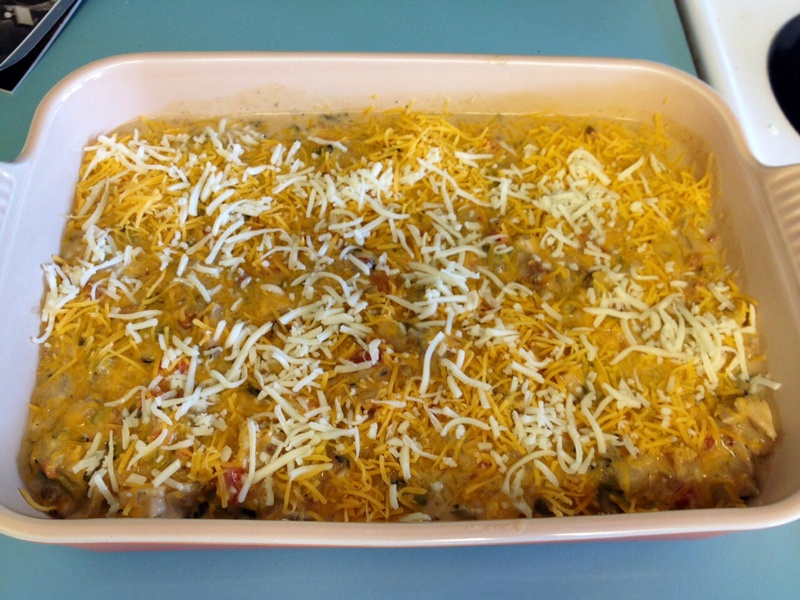 Add your cream of mushroom, cream of chicken, chiles, Rotel, chicken, and cheese. 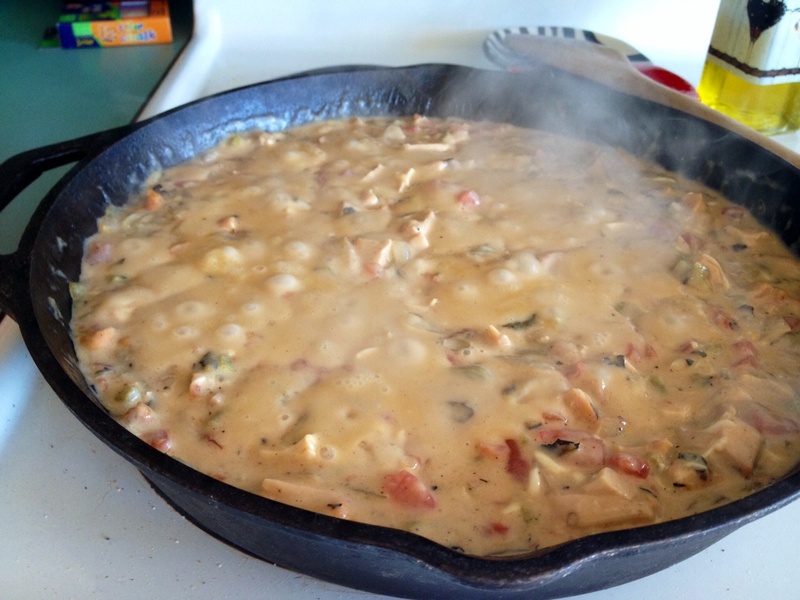 Stir on medium to high heat until cheeses are melted and everything is thoroughly combined. It’s at this point I like to taste it and sprinkle a little season-all type seasoning on there like Tony’s or Jane’s Krazy Mixed Up Salt. 4. Pour mixture over tortillas. 5. Sprinkle as much cheese as you want over the top. Note: if you’re planning on freezing this, allow it to cool after this step and cover with plastic wrap, then a layer of foil. 6. Bake at 350 for 30 minutes. 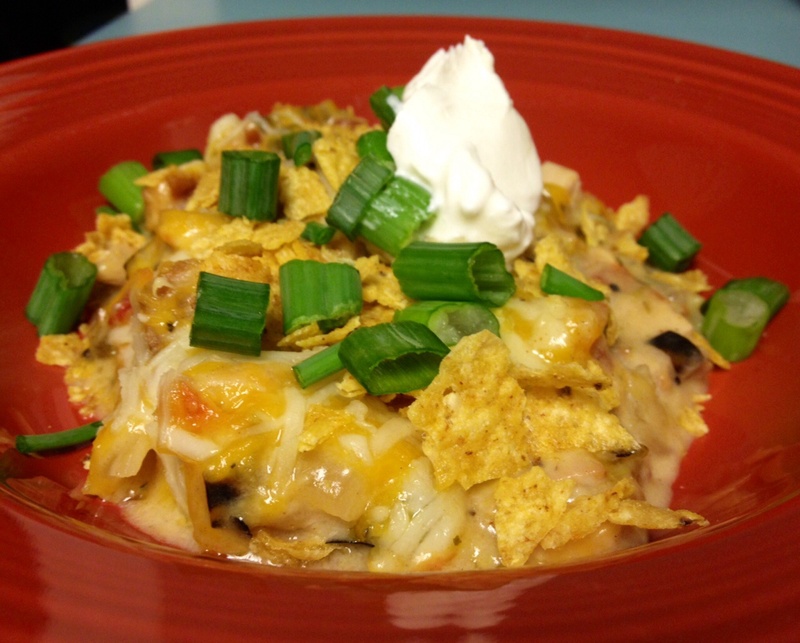 I like to serve mine with crushed tortilla chips, green onion, and a dollop of sour cream. Yummy!